Yes, I took a picture of my little day camper again this morning. She is still enjoying camp, although her favorite part by far is her major class – All About Birds. Her instructor is an ornithologist who teaches at Illinois State University. He knows what he’s talking about and she is learning a lot about birds. They set up nets, caught birds, identified the birds, weighed them, tagged them and then set them free. Did you know there was a bird called a Pewee? Well I didn’t until my 8-year-old daughter told me they caught Pewee birds. She also told me that when they chirp it sounds like their name. Today they went to a different location where more nets were set up and caught a woodpecker. She was thrilled and told us how big it was, that they have a very hard head and when they fly they go up and down because of the weight of their head. They have also caught robins and some other birds she has forgotten the name of. They caught a bird today that her instructor caught and tagged in 2013. She told us he was excited to weight it and see how much more it had grown. Hearing her talk about birds and seeing her excitement is contagious. The only problem with day camp this year is Naomi. Participants have to be 6-years-old. Naomi turns 6 on Monday, so she missed the cut-off by 1 week. Yesterday, she put on a back-pack and had a pair of toy binoculars around her neck when we took Lili to camp. Two of the camp workers thought she was a camper and I told them she was a camper wanna be who missed the cut-off by one week. One of the workers had several bead necklaces around her neck. She gave one to Naomi and told her to wear it next year when she comes to camp. Naomi left with a huge smile on her face. I’ve told both of the girls to quit growing. They just will not obey!!!! Or as Naomi says, “I can’t help it”. 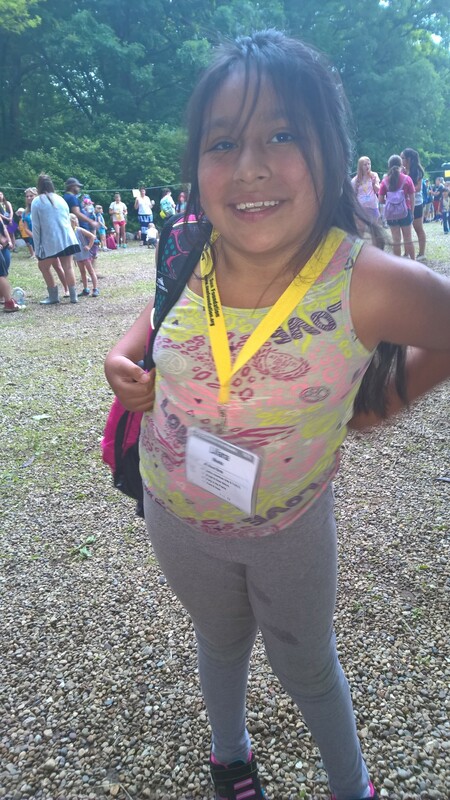 Yes, Lili is loving camp. She was looking more tired this morning though. Not only has this been a long week of travel and camp for her, but it’s also hot. She slept thru the storms last night which tells me she was really tired. So precious! She can do day camp in her own backyard. Pitch a homemade tent with a blanket!